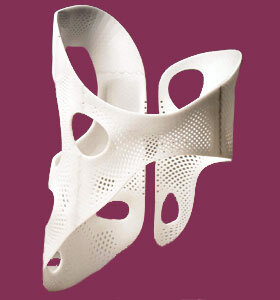 A scoliosis brace comes in a wide range of styles, configurations and purposes. There are braces that are used to halt progression of scoliosis in young patients and braces that help to stabilize the spine in adult patients. 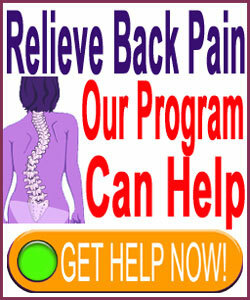 There are braces designed to bolster the strength of the spine when working or exerting oneself physically and then there are the many scam products that really have no use whatsoever, except to generate billions of dollars from naive, uninsured back and neck pain sufferers who coincidentally have scoliosis and are willing to invest large sums in unproven garbage products found online. Scoliosis bracing remains a hot topic in the dorsalgia industry, with many doctors speaking out against the practice, while others embrace it wholeheartedly. Evidence of the effectiveness of contrasting ideologies can be produced to support very different viewpoints when it comes to brace application. All of this information can become very confusing for diagnosed patients and their parents. This insightful dialog delves into the use of various types of scoliosis orthotics. We will examine traditional bracing practices, as well as self treatment using a wide range of related products. We will examine the limits, risks and rewards of each style of brace from a completely objective and non financially-motivated POV. The Boston Brace is a standard type of TLSO brace that is time-tested since the 1970s and very popular for treating a range of curvatures. Boston Braces are hard plastic, closed with Velcro and low profile for minimal disruption in daily activity. The brace is usually used for moderate to severe curvatures in young patients and must be worn the majority of the time, ranging from 16 to 23 hours daily. The Milwaukee Brace is a CTLSO brace that has been used since the mid 1940s for the treatment of scoliosis in developing youngsters. The brace uses vertical metal bars for stabilization and these are attached to a lower body girdle, an upper cervical neck collar and various custom-fitted straps in between, depending on the particulars of the patient’s curvature pattern. The Milwaukee Brace has fallen out of favor, since it appears rather frightening to children and is not easily concealed. However its design remains relevant, since it has the ability to treat cervical, cervicothoracic and cervicothoracolumbar curvatures that contraindicate many other brace styles. The Charleston Bending Brace is a nocturnal-only appliance used for particular curvatures between 25 and 35 degrees of the thoracolumbar variety which demonstrate a C shaped profile. This design over-corrects the spine while the patient sleeps, allowing more freedom of movement during active hours and improved patient compliance. The SpineCor Brace is a completely soft style that uses elastic bands and straps to correct the spine against atypical curvatures. The brace is most often used to correct mild scoliosis above 15 degrees, but has been used successfully to treat conditions up to 50 degrees of curvature. SpineCor is worn at least 20 hours a day, including when sleeping, but is the lowest profile available and does not even resemble a traditional brace style. SPoRT Brace designs vary, but are effective for halting the progression of very serious curvatures in the upper thoracic region. Most styles will be worn 22 hours a day or more during active treatment. Cheneau Braces are specifically utilized along with the popular Schroth Exercise Method. The design is customizable and covers most of the torso in a molded design. The Crass Cheneau Brace dos not feature padding and is molded to the body to be worn directly over the skin. It only needs to be worn 12 to 16 hours a day, making it a popular choice for its low level of invasiveness in life activities. There are also specific types of braces that are used for different types of scoliosis. The Peak Scoliosis Bracing System and the above detailed SpineCor Brace are commonly used for adult scoliosis, especially when the patient has pain in association with the condition. There are many other types of general back brace products that can also be used for adult, functional and even neuromuscular scoliosis. However, these are not generally recommended or thought to be very effective. In fact, most are simply security blankets and do not demonstrate much, if any, actual efficacy for pain relief, spinal support or curve halting ability. Some patients find that wearing a brace gives them better support hen working labor jobs, although once again, the benefit might be more psychoemotional than it is anatomical. Scoliosis bracing remains controversial, since statistics on its effectiveness are far from definitive. Generally, bracing is considered to be appropriate for 20 to 45 degree idiopathic scoliosis in growing children and teens to limit progression of the curvature. In this regard, most bracing is considered to be effectual. However, the use of some forms of exercise alone has also shown good results for reducing the progression of curvature, although not as good a bracing and exercise combined. It has become ever clearer that certain types of curvatures benefit more from bracing than others. However, doctors are still trying to identify the characteristics of curvature that actually should be braced versus curvatures where bracing might be optional. Remember that bracing is very invasive to a young lifestyle and also can impart significant negative mindbody effects to the individual that might endure for life. Therefore, choosing between bracing or not is a difficult decision that requires lots of research, proactively and evaluation with a true expert in the specific type of curvature demonstrated by the patient.